Send & receive faxes online anytime anywhere. Email Fax Service Provider: Internet fax allows you to send and receive faxes online, by email & Smartphone. 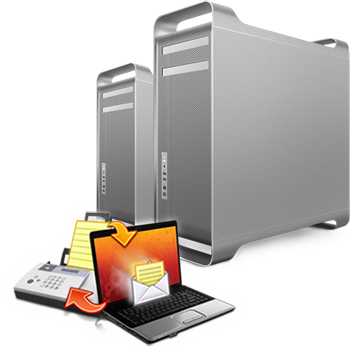 You can integrate with outlook, windows mail, Eudora, Thunderbird and Entourage. Toll free or local fax number with no long distance charges for sending or receiving faxes within Canada and the United States. We provide free internet faxing across Canada and the United States with local and toll free number. Operate and manage your faxes just like your any email. Our internet fax service allows you to receive multiple faxes simultaneously and your clients will never get a busy signal or phone line. You do not have to be online all the time to send and receive faxes. Our service lets you receive faxes by email or through the internet. Get your local or toll free internet fax number for free and start faxing online or via email. Send and Receive up to 200 Free Fax Pages/month. Send and Receive up to 400 Free Fax Pages/month. Send and Receive up to 800 Free Fax Pages/month. Send and Receive up to 1200 Free Fax Pages/month. Convenience: >>All faxed documents are delivered directly to your inbox, as it eliminates the need for conventional machine. Send and receive faxes from anywhere you can an internet connection. Send and receive faxes from your computer (PC or Mac). All faxes are delivered even when your computer is turned off, so you don't miss any important faxes. Security: >> Incoming and outgoing faxes are delivered directly to your email programs (Microsoft Outlook, Entourage, Eudora, Netscape and Thunderbird etc). Our website is secured by GeoTrust SSL certificates providing up to 256 bit encryption there by offering the highest level of encryption and security possible. This means you can rest assured that communications between your browser and this site's web servers are private and secure. Inexpensive: >> No more long distance charges. No more an extra phone line for fax purpose. No more busy phone lines. No more costly traditional fax machines. No more wasted paper, toner costs or maintenance fees. 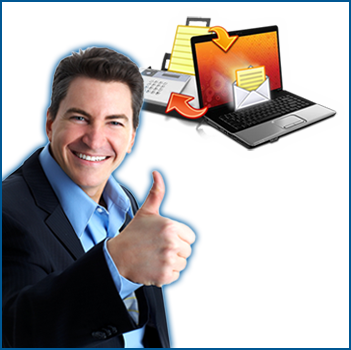 Sending any important document online is easy as email! Open your Email program and "Create a New" message just like you normally do. In the "To" field enter the destination Fax Number followed by "@gofaxgo.com". Attach the document(s) you want to fax. Supported file types include Microsoft Word, Excel, PowerPoint, Snapshot, PDF, Text files and HTML to name a few. You can attach as many documents as you like and they will be faxed in the order they are attached. Click on "Send" to send the email. Gofaxgo will convert the email and the attachments and then fax them to the recipient your specified. You will receive an Email with the status of your fax transmission. Business Internet Fax to Email Service which enables you to send and receive faxes online, via email and Smartphone. Free local or toll free online fax numbers is provided through out Canada and the United States. Copyright © 2013 GOFAXGO - Email Fax CANADA. All Rights Reserved.